Magnetism by Escada is an easy to like and easy to wear sweet floral oriental with a stroke of pure fun. 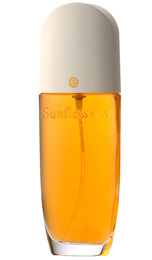 In Bottle: Sweet vanilla blended with a fun fruity and juicy opening coated with flowers. Applied: Sweet and green rather crisp and juicy up top with a distinct fruitiness that blends well with the fragrance. The scent delves into this floral mish-mash that comes out smelling distinctly flowery but keeps a rein on its strength. There is a sweetness throughout this fragrance that doesn’t take away from the fragrance’s purpose. In the end, it is a sweet sandalwood with an earthy vibe and a strong sweet vanilla finish. Extra: Magnetism for Women was introduced in 2003. It’s a fairly decent fragrance though it’s not in any way groundbreaking. It does smell good and does the Escada brand some fine justice. Design: Not too wild about the design of the bottle but then Escada’s bottle designs have always seemed a bit off to me. Magnetism is a hot pink curved glass bottle. It’s vaguely unpleasant and looks a bit too suggestive for me to take it seriously. Notes: Pineapple, black currant, melon, berries, cassia, litchi, magnolia, orris, green leaves, freesia, basil, jasmine, caraway, heliotrope, lily of the valley, rose, sandalwood, amber, patchouli, musk, benzoin, caramel, vetiver, vanilla. So in the end, Magnetism isn’t attracting me, but it is doing a good job of trying. If you want a nice, wearable floral oriental with a dollop of sweet then this might be good. As a bonus, Magnetism can be purchased from several discounters for a rather fair price. Reviewed in This Post: Magnetism for Women, 2010, Eau de Parfum. My thanks go to LS for requesting Le Baiser du Dragon. I headed out and tracked down a bottle to sample and it’s one heck of a unique, deep, oriental. I will admit I haven’t considered Cartier fragrances much and I’m not exactly sure why. Le Baiser du Dragon is nice oriental. 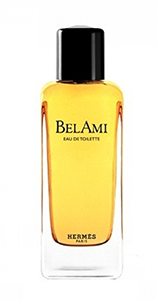 In Bottle: Sweet almond and amaretto mixed with a sharp green and spicy floral quality with a creamy foody scent to it. Applied: Opens with a spicy green kick then delves into a sweet almond and amaretto fragrance that hits a bit of a gourmand vibe. The sweet scent mixes into a floral bouquet during the midstage. I get gardenia and jasmine and a green note like leaves. I get a bit of woods in the middle as well with mix of woodsy notes coming up and taking with it a smoky quality that mingles with the rest of the fragrance. The woodsy notes I can definitely pick up on the cedar with a perfumed woody note that’s got to be sandalwood. Le Baiser du Dragon is really proving itself to be a highly complex, very pleasant fragrance. As it starts to dry down, the fragrance takes on a bit of a rose scent as well as a smokey creamy sweetness as the fragrance fades off with a nice and deep resinous woodsy fragrance Basically, there’s a mix of spicy and smokey creamy florals and woods. It’s very deep and very nice. Extra: Le Baiser du Dragon comes in three concentrations, Eau de Toilette, Eau de Parfum, and a straight Parfum version. The fragrance was composed by Alberto Morillas who also composed Marc Jacobs Daisy and Givenchy Pi. Design: The bottle design is reminiscent of Cartier’s oriental inspired designs, particularly their Chinese inspired jewelry. It’s pretty evident by just looking at the top of the cap and the overlay on the glass. The bottle itself is nice and easy to hold with these cute pseudo-handles on the sides of the bottle’s glass. Overall, it’s a bit of a retro design but it’s easy to use and functional. Notes: Gardenia, bitter almond, amaretto, neroli, orris, jasmine, rose, musk, cedar, sandalwood, amber, dark chocolate, benzoin, caramel, patchouli, vetiver. I really do love the complexity in this fragrance, there’s so much to smell and analyze and it’s one of the oriental genre’s better fragrances. 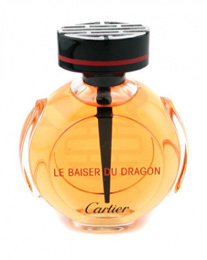 Reviewed in This Post: Le Baiser du Dragon, 2010, Eau de Parfum. Hermès is rapidly becoming my new favorite friend in the world of modern designer perfumes. What they come out with is almost always good, or at the very least–decent and I have yet to smell something from their line that I found outright terrible. Let’s hope the streak continues. In Bottle: 24, Faubourg is the fragrance you wear when you know you’re about to make a statement. Sweet, warm and gardenia straight to the face. Applied: Airy florals with a bergamot note up top and a blend of slightly sweet peach. The mid-stage is a set of amped up and huge white florals with a predominance of gardenia. Actual gardenia, even, not that tuberose nonsense people try to pass off as gardenia sometimes and a faint jasmine note wafting around like a warm bouquet. There’s also a gorgeous layer of spices here that mixes so well, no one spice is too strong or not strong enough and it plays into the utterly pretty but very loud florals. The drydown is a warmed up sandalwood, a hint of vanilla and the sophisticated dryness of a good patchouli note. 24, Faubourg is sophisticated. It’s a perfume that smells expensive and experienced. It’s the kind of perfume you could totally wear to a formal. Projection on this is fairly good, with longevity doing very well on me. Extra: 24, Faubourg was released in 1995 and was developed by Marcel Roucel. Design: Beautiful glass bottle with accents on the glass that looks like one of Hermès’s famous silk scarves. The cap is a rose gold and the bottle’s shape even mimics that of a silk scarf. Beautifully designed, not at all too busy. Every element is so nicely balanced and beautifully designed. Notes: Bergamot, hyacinth, ylang-ylang, orange, peach, black elder, orris, orange blossom, jasmine, gardenia, sandalwood, amber, vanilla, patchouli. I’d unashamedly say that I’d buy this for the bottle alone. Thankfully the juice inside is good too. 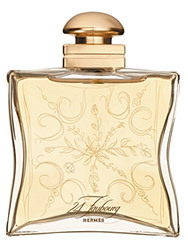 Reviewed in This Post: 24, Faubourg, 2006, Eau de Parfum. So Jicky, what do you want me to say about you? Well, I ask because everyone the world over has already said what they wanted. It just seems I’d only add yet another opinion to the already loaded mix of what makes Jicky tick. Ah well, let’s give it a stab anyway. I started off this blog reviewing Mitsouko of all things! In Bottle: Spicy lavender, warmed up and dotted with a slight citrus topper in the opening. Jicky is immediately alarming and comforting at the same time. Applied: Initial flare up of citrus, a big yellow splash in the opening to get you ready for the lavender that rolls in soon after. The lavender really shines with Jicky for me. It’s normally a comforting scent, this lavender, but the Jicky lavender gets a bit indolic at times thanks to what I can only assume is the civet used in this. It’s very heady and frankly speaking, she doesn’t smell “right” but that doesn’t stop her from smelling awesome. For those of you not in the know, “indolic” is a polite term for “smells like poo”. Breathe past that minute note of “off-ness” and you’ll be rewarded with a spicy leathery quality to it. There’s definitely animalic swayings in this fragrance. It’s not soft and tender lavender for sure and if you were to drop this into a soap people would be wondering what’s wrong with you while at the same time wondering how they could get in on it too. This is dirty stuff but it’s classy stuff, and it amuses me a great deal. She doesn’t try to fruit it up or pass it off as some sort of therapy and just for that alone, Jicky should be given a crown. It’s simply you and lavender, leather, spice, and hilarious indole. And you had better take it. Jicky uses that full lavender with an air of sophistication and a sense of daring all the way into the closer where the lavender fades a warmed dusty tonka greets you at the bottom with that ever present indole. Something about Jicky smells familiar but at the same time incredibly lush and hard to grasp. If Jicky could talk, I imagine she’d say, “What? You don’t like it? Then it’s obvious you don’t get it and I’ll thank you for getting out of my way”. Yeah, that’s Jicky. She doesn’t care if you don’t like her. She knows she’s good. Extra: I love Jicky. I don’t love how she smells because I am a self-professed, shame-faced lover of clean and easy to wear. But I love what she stands for and appreciate what she is. She’s an era in perfume long gone but stubbornly and regally embodied in her bold presence that just refuses to go quietly. She’s one of the few Guerlains that I will probably never wear simply because she’s too much for me. But I can appreciate her all the same. Especially for being so “in your face” with all the fresh, clean, fruity stuff being pumped out today. I find it delicious to imagine a group of bottles, a hundred or so in number, of celebrity fragrances could be placed on the floor in a room. And there might be a bottle of Jicky sitting in the middle, waiting for some unsuspecting person to come by, pick her up and get slapped in the face with all that she is. Never change, Jicky. Never change. Design: Those of you familiar with the Nahema design will recognize the image above. Though it should be noted that Jicky most definitely came first. Beautiful bottle, classical look, wonderful feel. Pictured above is the parfum concentration placed into an fantastic, elegant flacon. It’s Guerlain at its best. Notes: Lemon, mandarin, bergamot, lavender, orris, jasmin, rose, patchouli, vetiver, leather, amber, civet, tonka, incense, benzoin. You don’t really need me to rehash the romantic story of Jicky and her creation again, do you? Nah, I’ll just leave this post to say that if you were here and reading about Jicky, and were interested, there is a large online database of information readily available with a quick Google search about the conceptualization of Jicky, where you can get Jicky, and what–if anything at all–has happened to her in all these years since 1889 when she was first introduced. Or you can click here. Reviewed in This Post: Jicky, ~1970, Eau de Parfum.